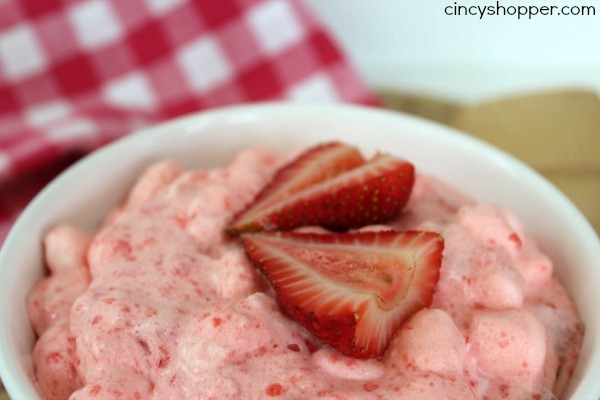 We enjoyed this Easy Strawberry Fluff Salad Recipe yesterday with our Father’s Day Grill out. I have been serving up some great salads for our grill outs lately. 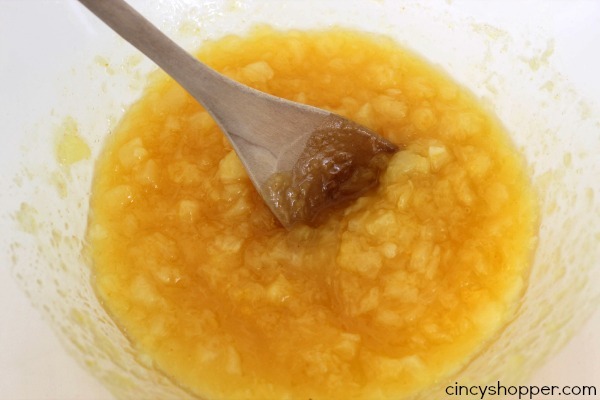 This recipe was one that my aunt shared with me last week and I was anxious to give it a try. It is so quick and easy, just like my Quick & Easy Ambrosia Salad Recipe.. so easy with no cooking involved. Quick and Easy always grabs my attention when considering a recipe. Summers always seem so hectic with no real time to be spending in the kitchen. The kiddos love strawberries so I knew this Quick and Easy Strawberry Salad would be a hit at our grill out. I was correct, the kiddos came back for seconds. 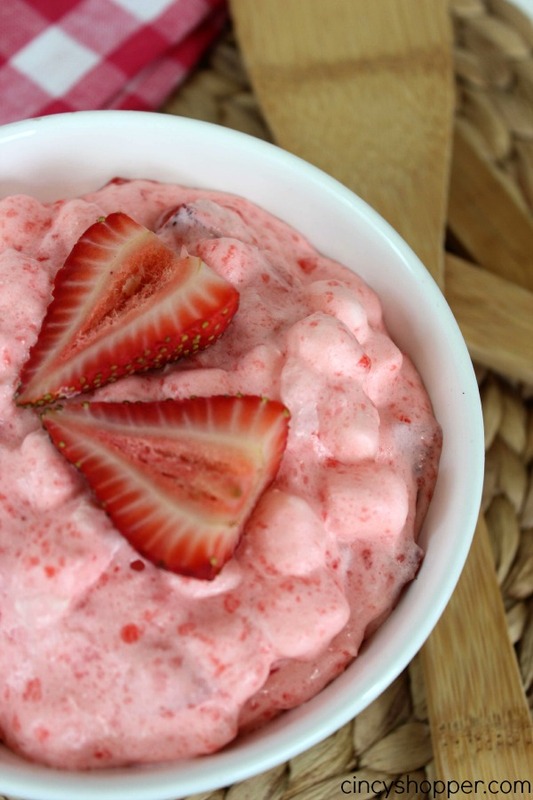 The ingredients for this Strawberry Fluff Salad Recipe are so simple (perfect recipe if you ask me, ha ha). 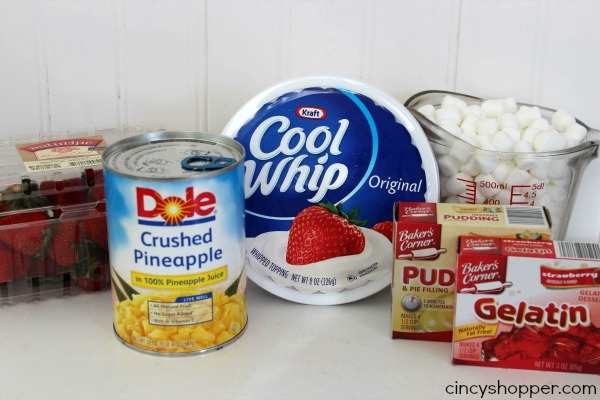 Just grab some strawberries, pudding, Jell-O, a can of pineapples, mini marshmallows and some Cool Whip. Whip up this salad in no time at all. Add contents of the Jell-O package to a medium bowl. 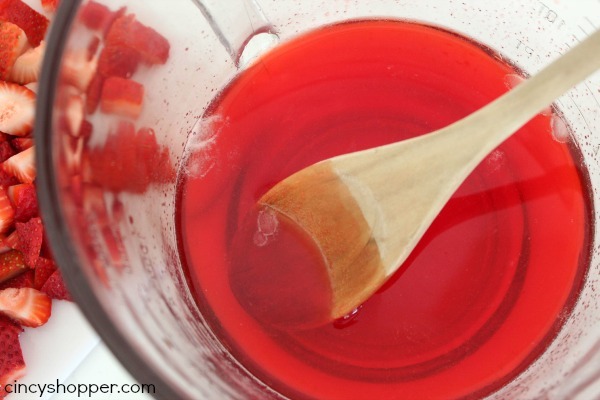 Add boiling water to the Jell-O and stir until dissolved. ve dissolved. Pour crushed ice into the bowl and stir until the ice has melted. Place into refrigerator for 10 minutes or until it begins to set. Add crushed pineapple and juices to a large bowl. Add vanilla pudding mix and stir to combine. Wash and trim strawberries, and cut into slices. Add to the other ingredients and stir to combine. Add mini marshmallows and Cool Whip. Use a spoon to break up Jell-O mixture and add it to the Cool Whip mixture. Stir it in to combine. I told you it was all so simple! 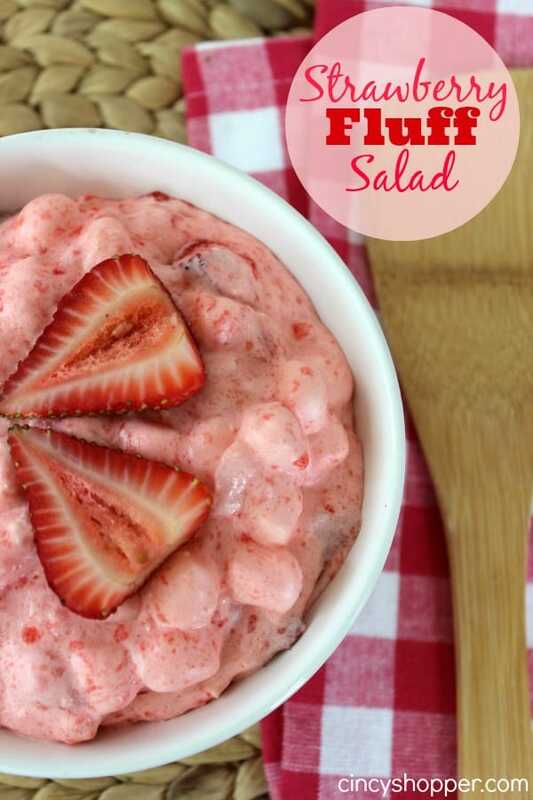 If you have a potluck in the near future definitely consider this Strawberry Fluff Salad Recipe (especially if you are pressed for time). Looking for other Summer Salads? If so, be sure to check out my Pasta Salad with Balsamic Vinaigrette Recipe, Quick & Easy No Cook Potato Salad Recipe or even my Broccoli, Bacon & Cheese Salad Recipe I have shared. These all sound so good!!! will most likely make these!! Do I drain crushed pineapples and can I use frozen strawberries? I totally messed this up the first time making it. You MUST wait for the jello to be firm all the way through. If too liquidy it will ruin the entire thing. I made this for a work pot luck, and it was great! Very light and refreshing for the summertime. Your step by step instructions are foolproof, and a good tip may be to make the jello a day ahead, if possible.